So, if this paper doll seems vaguely familiar, that’s likely because I have done steampunk things before for Marisole and for Curves. I openly admit I think William Gibson’s Difference Engine is among the boringest books I have ever tried to read; however, I do love anything which lets me play with Victorian fashion and not have my natural need to research to overwhelm me. There might be better steampunk books out there. Suggestions anyone? I feel I should add, I love many of Gibson’s other books including the fantastic art work Agrippa which the librarian in me both loves and hates. Seriously, a mind-blowing piece of artistic work. Okay, I’m done gushing now about digital poetics which technically have no place on this blog. 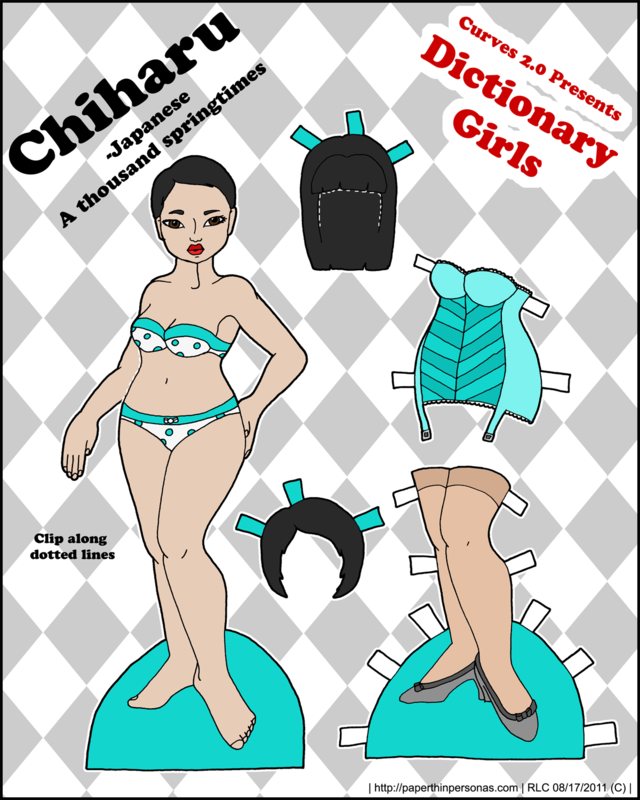 This blog is about more important things like paper dolls. So, speaking of paper dolls, today’s Marisole is considerably more brightly colored then my last foray into Steampunk. I like the brighter colors and though I tend to think of the Victorian era as sepia toned, I know the reality is that it was a horribly gaudy era of fashion since chemical dyes had just been invented.